And make your life a whole lot better. We feel it is our responsibility to protect and improve the lives of abandoned, abused, homeless unhealthy and needy dogs in hi-kill shelters by rescuing, vetting and finding them great loving forever homes. 1. Holding fundraisers and pledging for rescue and vetting of dogs in hi-kill shelters across the united states promoting their rescue and to fund the rescues activities. 2. Educating the general public and all others on the Chihuahua and other breeds. 3. Rescue and re-home Chihuahuas and other dogs that have been abandoned, neglected, abused and/or surrendered to kill shelters in the country, community, and surrounding area. 4. Ensure all our adoptable dogs are spayed/neutered micro chipped and vetted for health before leaving to their forever home. Encourage pet owners to spay/neuter their dogs. 5. Rescued dogs will stay in an approved foster home or with us until we find a forever home that is a good match for the dog. Each prospective adoption applicant will be interviewed by at least two volunteers and all references checked and home visits are done. 6. To rescue and pledge on as many small breed dogs as our rescue capacity and funding will allow. 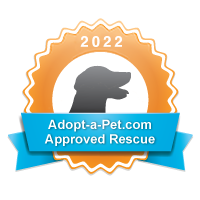 Second Chance Chi Rescue and Pledge Club is a group of people with the same desire to help rescue and save small breed dogs from hi-kill shelters throughout the united states and find them loving forever homes. We are always looking for volunteers to help in our efforts to rescue, foster, re-home and pledge on these dogs in hi kill shelters that are in so much need of finding a forever home with a new loving family to call their very own. Our pledge club works in conjunction with rescue groups who pull dogs from high kill shelters and dogs who also are in need of medical attention. Our members make pledges and a percentage of the funds raised are pledged on dogs to help rescues pay for costs in the rescue of these dogs. The lives we help to save go on to find forever homes and live the lives they so deserve to live. We are a registered 501(c)(3) non-profit animal rescue and your donations and pledges are tax deductible!! Without Adoption, there would be no rescue. without rescue there would be no saving of innocent little lives. Without fostering, there can be no rescue. Every year we help to save the lives of over 100 pets across the US. You can volunteer to help animals that we would otherwise not be able to facilitate through your good faith. Every little bit counts! Your generous donation will go a long way to help our chihuahua rescue find our pets forever homes. Are you looking for a new forever friend? View Second Chance Chi Rescue dogs and all our pets ready for adoption! Thank you to our partners whose support makes Second Chance Chi Rescue work possible.